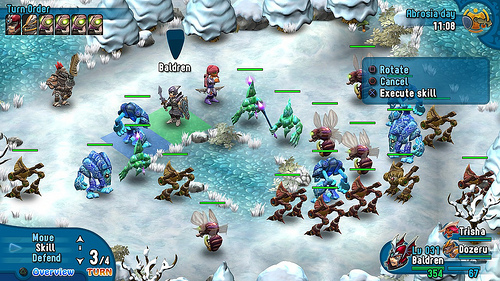 Rainbow Moon was developed by SideQuest Studios, the same company that brought Soldner X to the PlayStation 3. 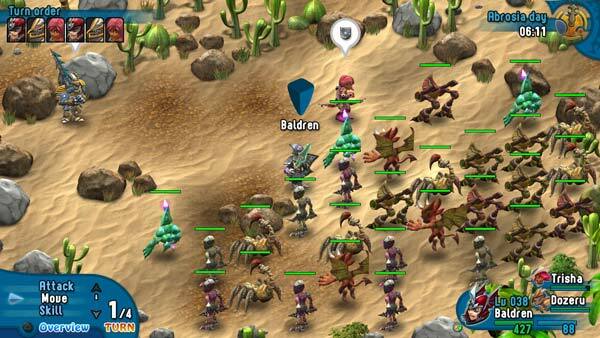 Now, players get a change of pace from the space shooter to a magical RPG. With SideQuest Studios having a good track record of providing quality games so far, we should see something similar in this new development despite a huge change in genre. What really makes Rainbow Moon stand out is the arrangement of colors and graphic designs. There’s a huge amount of detail in the environments and the characters are stylized in a cartoon-like fashion. The cut scenes are also a treat to look at with crisp and vibrant color palettes incorporated into an astounding presentation. Essentially, the graphics are as beautiful as the rainbow and the moon combined. Probably that’s why the game is called Rainbow Moon? In the story behind this game, Baldren is a warrior who, while fighting against his enemy, unfortunately ends up getting sucked into a gate. When he comes to, he realizes that he has just entered the Rainbow Moon itself and this where he will have to fight again to save it from the creatures terrorizing the inhabitants within. There’s one warning. Rainbow Moon will take a long time to complete. At least more than 40 hours. This is definitely an epic game that will keep you involved and focused all throughout. 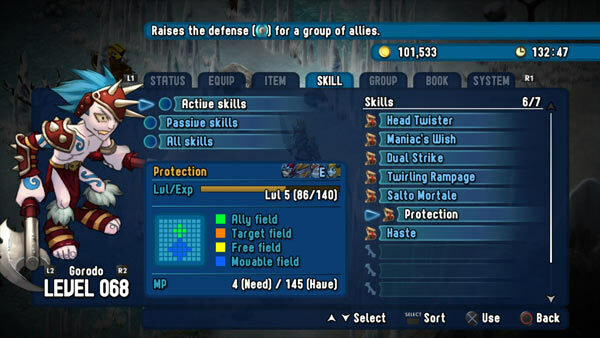 In the beginning, you get to choose what kind of features and abilities you want, which actually translates to the difficulty level of the game. The more difficult you choose, the longer the game will take for you to complete. In Rainbow Moon, you’ll be exploring various environments, including the dungeons. When you’re above ground, there are various NPCs in the form of villagers who you can talk to. Furthermore, the environments changes as the game transitions from day to night time. This means that certain villages may not be present at certain times of the day. So there’s some integration and depth added to Rainbow Moon. And of course you’ll encounter some enemies to battle. However, enter into the dungeons and you’ll find even more enemies. In fact, they’ll appear more frequently around spots where treasures and loots are. So proceed with caution before you get those valuable items. They could lead you to a trap. But then again, it might be worth the fight depending on how much you need the item. Fortunately, Rainbow Moon allows you to save anytime, except for during battles. Hence, you can just load if you find out your previous choice led to dreadful results. When you do get into contact with an enemy, it’s time to battle. The combat system is turn-based where you move and then choose a specific action. Then your enemy does the same thing and vice versa. As you defeat enemies and progress further, you’ll get plenty of chances to level up, acquire valuable items, and collect Rainbow Pearls. With these pearls, you’ll be able to improve on your character’s statistics, including strength, speed and damage. All throughout the game, vendors populate certain areas. These help you to purchase various essential items, including potions to help you regain health. The vendors are usually found after you go through the hardships of fighting against a bunch of enemies. So if you don’t last long enough, you won’t get that chance to make that needed purchase. During your journey in Rainbow Moon, you’ll be making friends with other characters who will join your team. They are actually quite useful as they have different sets of strengths and abilities. A lot of RPGs’ addition of more characters help to keep the game lively and interesting. 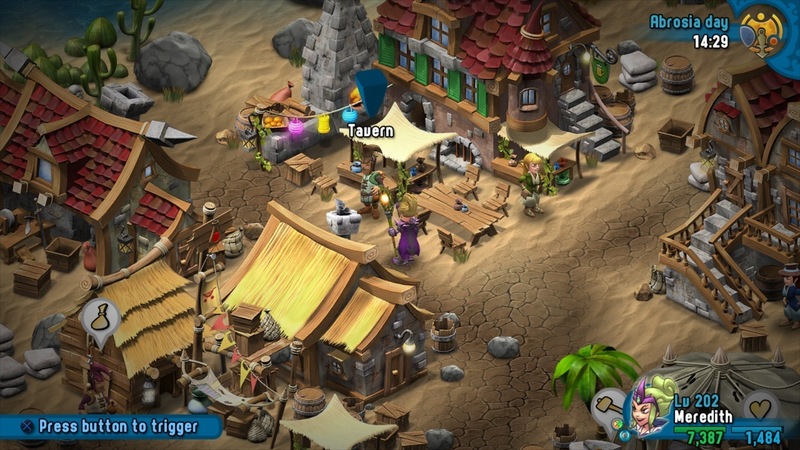 Thus, Rainbow Moon is able to present itself to players as fun and entertaining. It’s sad that the sound couldn’t be as good as the graphics since when they work together, they help to enhance the game. But in Rainbow Moon, the voices seem pretty odd and bland. There doesn’t seem to be much life or expression from the characters. However, I’ll have to say that the narration was pretty OK while the music did provide some tranquil yet exciting impressions. At the end of the day, Rainbow Moon does have a pot of gold at the end of its rainbow. This is a great game that can be bought in the Playstation Store for just $15. It can be a little bit too cartoony for players to take it seriously, but the gaming experience is enough to keep them satisfied. The look is just as gorgeous as the rainbow while the content is as vast as the moon itself.